I love, love, love food on the grill, how about you? But did you know you can use your grill or griddle to cook up easy make-ahead meals? Summer cooking doesn't have to be hard. 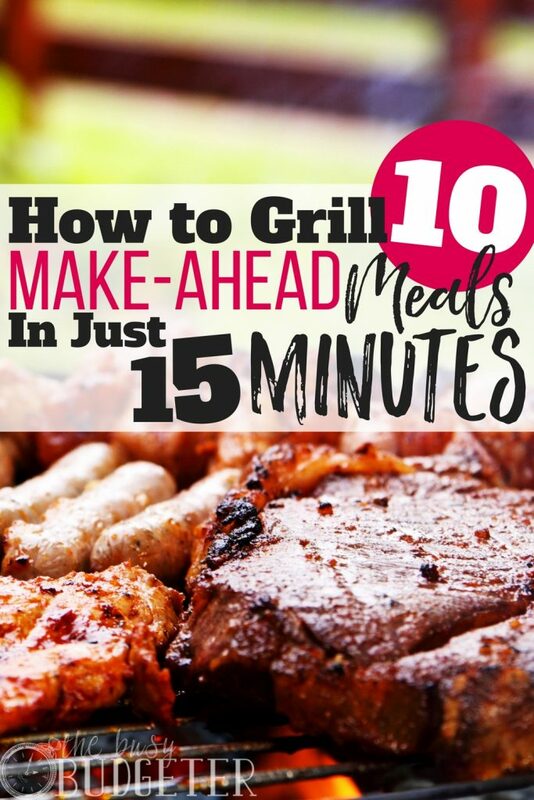 If you've got time for 15 minutes on the grill now, that's 10+ make-ahead meals prepped and ready for later. Even if you don’t own an actual grill, you can cook most of these proteins with a griddle, by baking or even in a frying pan. Make-ahead meals are a HUGE timesaver. We’ve been cooking freezer meals for quite a while now and they keep us out of the kitchen. In fact, I rarely cook anymore and we hardly ever go out to eat. Before I started freezer cooking, we would end up in the fast food line much more frequently than we wanted to. Fast food was convenient, cheap and quick. Now that I’ve been freezer cooking for a while, I promise you, it’s JUST as convenient, cheap and fast and you won’t feel guilty after. In fact, without trying, I even dropped about five pounds, simply because I was eating healthier. Healthy grilled and baked protein is so easy and flavorful, you won’t feel like you’re missing out or sacrificing flavor. If you season with spices and herbs, grilling tastes as yummy as fast food. I watch for sales and great deals on meat and stock up. Then I cook the whole shebang at once. I can literally create about 70 meals in 4 hours for under $100/week. You can’t beat that kind of savings, especially not with fast food. The meals are yummy and ready in less than five minutes in the microwave and we eat faster than we could visit the drive-thru. Plus, I save tons of time on cleaning up because I’m only cooking once a month or less. We end up with almost no dishes in the sink. The kitchen is clean and we’re all happy and well-fed. The kids enjoy the meals as much as my husband and I do. If you live in an area where grilling out year-round is a possibility or if you or your spouse love to grill, then I suggest using the money you’ll save from fewer trips to the drive-thru to justify the cost of a grill. That said, a countertop grill like a George Foreman or a griddle produces nearly the same results. Most protein is still just as healthy baked in the oven. So, don’t feel like you need to run out right now and buy a huge grill. I want you to save your money if you can’t afford a grill. I really love our griddle and use it more than a grill. It’s so easy and I cook all sorts of foods on there—batch freeze bacon, pancakes, burgers, steaks, chicken and more. It’s non-stick so you don’t worry about using a lot of oil in cooking. The surface heats evenly. The griddle is fast, simple and cleans up like a charm. If you’re going to invest in one item, I suggest a griddle. So, what are you waiting for? 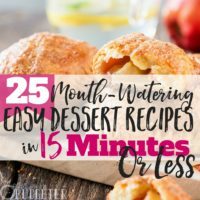 Enjoy these quick easy summer cooking make-ahead meals, where just 15 minutes on the grill means 10 meals ready-made! Burgers are one of our family’s go-to make-ahead meals. They’re so easy! Batch cook a bunch of burgers right away, freeze them and reheat later. Pre-made burger patties are easiest because you don’t really need to work with or touch raw meat (if you’re squeamish about such activities). All I do is put the burger patties on the griddle for about three minutes a side. You could also use a countertop or outdoor grill. Once you’ve cooked up the burgers evenly, simply wrap them in waxed paper and freeze them in a freezer bag. When you’re ready to enjoy a burger, you simply unwrap and microwave it for about two minutes. Plop your warm patty on a bun with a slice of cheese and you’ve got a burger to beat any fast food out there. Customize your burger with bacon, ketchup or whatever “burger accessories” you like. Cooking steaks is another one of my favorite make-ahead meal options. I use flank steak and strip steak. Usually I cook them in the oven (although you can cook them on the griddle or grill as well). What I like to do is brown the steaks on the griddle or in the frying pan and then move them to the oven to cook through. We invested in an in-oven meat thermometer. It’s a really great tool to ensure your meat is safe and cooked to the right temperature. I simply put the steaks in the oven until the thermometer goes off and then I remove them and let them rest. Slice steak and use in salad, tacos or as a dish itself. I look for boneless steaks, but if you prefer bone-in it’s fine. Once you cut up the steak, freeze it, and then simply microwave for a minute or two to re-heat. Easy! I cook chicken like steaks—browning first on the griddle or in a frying pan and then moving to the oven to finish. There are all sorts of ways to cook chicken, but it's a delicious option to grill as well. The only note to be aware of is you must cook chicken completely. Grilling often turns meats a little “pink” and it’s hard to tell when they are done (this is where a meat thermometer comes in handy). Cook as many chicken pieces as you like all at once. Season with herbs and spices or salt and pepper, and brush the chicken with a little oil before cooking. I find boneless, skinless chicken thighs are cheaper and more flavorful than chicken breasts. They are moister, which is nice especially if you grill them. Once your chicken is cooked through, chop the chicken up for use in salads, pasta and rice dishes. You can freeze the chicken, wrapped in waxed paper and tucked in a freezer bag. Reheat it in the microwave for 1-2 minutes or thaw chicken and enjoy it cold on a salad or as part of a wrap. Chicken is so versatile and is definitely one of our favorite meats. 4. Make-Ahead Meals: Yes, Even Fish! You can grill, griddle or even bake fish as a make-ahead meal option. Look for grill-friendly fish like tilapia, tuna steaks or salmon, which hold up well and are versatile. Cook fish ahead and then freeze to enjoy later. Like chicken, thaw fish to enjoy cold in a pasta salad, or reheat it to enjoy by itself or as part of a dish like pasta or rice. Fish tacos are another very easy to prepare dish for make-ahead meals. Use any fish for the tacos, reheat it and top with avocado, salsa or cheese. You can enjoy fish on top of pasta or with vegetables for a healthy option. Try making a fish sandwich using grilled fish with a little lemon pepper and top with cheese, lettuce and mayo. More Great Make-Ahead Meals on the Grill or Griddle: Breakfasts, Veggies, and More! You can cook bacon, pancakes and panini-type sandwiches on the grill or griddle as well. Batch cook bacon, as well as pancakes and French toast, freeze them and enjoy easy breakfasts in the microwave…it's like a dream! Vegetables like mushrooms cook really well on the grill. Cube them into smaller pieces and thread them on a skewer or sauté them on the griddle until they’re brown on both sides. Zucchini, summer squash and eggplant are all great options to cook this way. Once they’re cooked through, freeze them and reheat them later. If you’re looking for more make-ahead meals and meal planning ideas, I’ve found MyFreezEasy is one of the best tools to help me plan my meals. 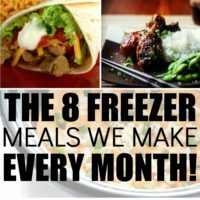 With a few clicks, you can create a whole month’s worth of freezer meal plans, complete with recipes and shopping lists! It makes freezer cooking super simple. So if you’re struggling to meal plan, I want you to try it! It’s easy to cook a whole month’s worth of dishes in a very short time. Grill your proteins or brown them on each side and finish in the oven. In just 15 minutes, you can create 30+ servings ready to go. The trick is to cook in batches and work with one item all at once. I’ve used this method to cook 74 freezer meals in less than four hours, including sides. (Seriously!) 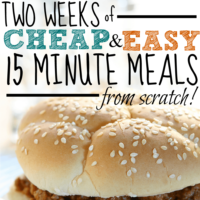 Make-ahead meals are a perfect solution to avoid fast food and make your weeknights go much more smoothly. 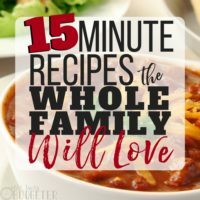 Enjoy these 15-minute make-ahead meals and different ways to cook protein on the griddle or grill and freeze to enjoy later! What’s your favorite freezer meal option? Do you have an easy grill recipe you love for easy summer cooking? By far our favorite frozen meal option is LASAGNA! It incorporates everything everyone loves! Pasta, Cheese, Meat! I mean… Delicious is an understatement. I love making double batches of anything I make (not really any extra work) and freeze it to pull out (lasagna, enchiladas, soups, etc). One way I love to prepare chicken is to roast it. I can roast 2 or more at a time and have tons of delicious meat to use or freeze! Thanks Rosemarie, that’s really a time saver. I’m astonished to know it’s possible to cook just once a month yet always eat healthy meals at home. This is on point and brilliant. I would have to agree that making meals ahead is a life-saver. One of our favorites are tuna steaks. Can you recommend what type of salsa to use for fish tacos? You’re totally right and I totally understand you. If you wish, we might also chat around best birthday messages, something that fascinates me. Your site is definitely brilliant, take care! Thanks for sharing this post with us. I am little bit interested to get more information about bbq recipices. I like to share my opinion on bbq recpices .It does NOT need to be cremated, just make sure that the meat drops off the bone with a fork, so again, cook it slowly, but make sure that it does fall off the bone with a fork. Thank you for share this post. I am very interested in proteins. I would like to share my opinion on proteins. The doctrine behind this performance is known as internet neutrality. Merely put, internet neutrality implies that the connectivity infrastructure – the servers, Web service suppliers (ISPs) and transmission strains that make up the Web’s spine – should present the identical degree of connectivity to all its customers. Wonderful recipe! Thanks a lot!